Discovery Litigation Services operates worldwide to provide a host of of services that better serve the legal community. The experienced DLS scheduling team will supply you with a location, Tennessee court reporter, videographer, and interpreter anywhere they are needed. Full access to professionals and high quality solutions is paramount. Discovery provides access to experienced Tennessee court reporters, skilled videographers, and seasoned trial presentation teams. Regardless of the location, Discovery believes every deposition should be properly staffed with the utmost qualified court reporters, videographers and interpreters. With Discovery’s technological solutions, you don’t have to worry about expensive travel costs required for remote depositions. Let the Discovery staff make your video-conferenced deposition a reality. Gain flexibility and save on costs you didn’t realize you could eliminate. Get better results, maximize your time, and make it easy on yourself by calling Discovery Litigation Services. 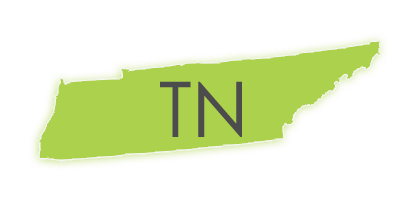 Never has it been so easy to find certified Tennessee court reporters when you take advantage of the array of Discovery Litigation Services and the hiring power of its worldwide network. DLS will eliminate the hassle of vetting droves of referrals and scanning piles of resumes. We will promptly supply you with the right professionals for your case. DLS provides interpreters anywhere in the world in any language that is needed. Whenever necessary, DLS will provide a realtime feed of the deposition to the interpreter allowing for a highly accurate translation giving the interpreter the ability to view the question in its entirety while they are translating to the deponent. With our network of skilled interpreters at your disposal, your deposition is in good hands. Don’t limit your hiring by what is available. Get highly rated professionals, and the most qualified interpreter regardless of your deposition location. When you partner with Discovery Litigation Services you will get more than a “one-off” solution. You get a one-on-one relationship with some of the most entrenched and seasoned experts in the litigation industry. Along with the DLS experience comes a massive rolodex of relationships leveraged to get you the results you need. Better Results. Less Time. Less Effort. At your disposal is a high performing litigation team of specialists. DLS will employ on your behalf experts in pre-trial strategy to help you develop a winning case. Coders will spearhead the creation of your exhibit database and legal video professionals will segment all of your video clips and load them into a ready to go solution. No longer do you have to scrub through hours of footage on your own. Our experts will go beyond and assist in the courtroom, mediation, or arbitration as an active member of your team. By combining leading trial presentation software with the experience of veteran trial consultants, DLS allows you to focus on the facts of your case. Discovery Litigation Services is expert in developing seamless presentations for maximum effect. Their trial consultants will review, plan, and coordinate your presentations in order to achieve the verdict you desire. Discovery Litigation Services is a countrywide agency with offices from Atlanta, to Los Angeles, across to New York, and everywhere inbetween. DLS has your litigation resources. Discovery Litigation Services will cover all of your interpreting, mediation, arbitration, and trial presentation needs.